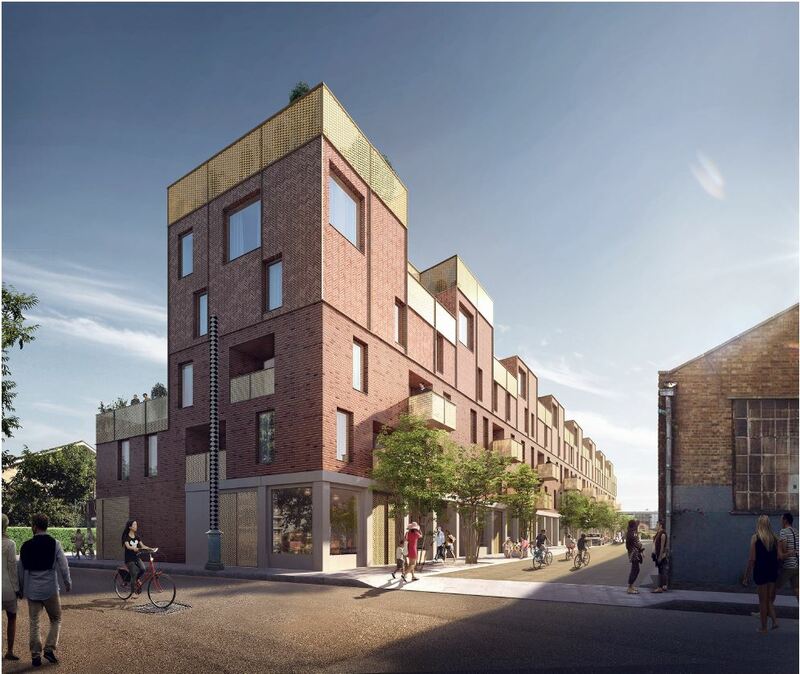 Having worked on Wallis Road in Hackney Wick, Spacehub were appointed to work on the neighbouring site, 57 Berkshire Road, connected both by a door into Wallis Road and in joined up thinking. 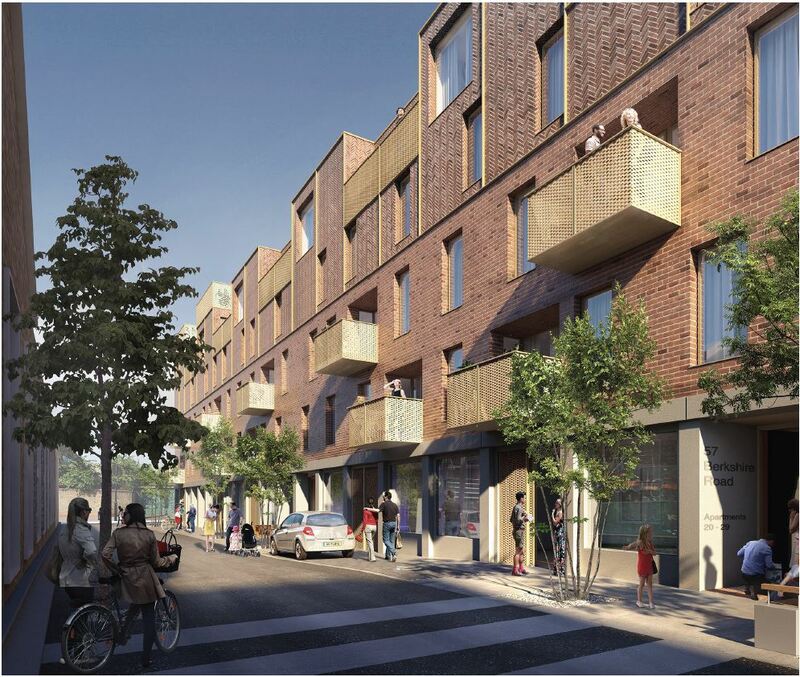 The two projects, each now having achieved planning permission, form part of the Hackney Wick Masterplan developed by the LLDC. Materiality, function and response to context were key design drivers. Spacehub collaborated with Mikhail Riches and CMA planning on the design of Berkshire Road. 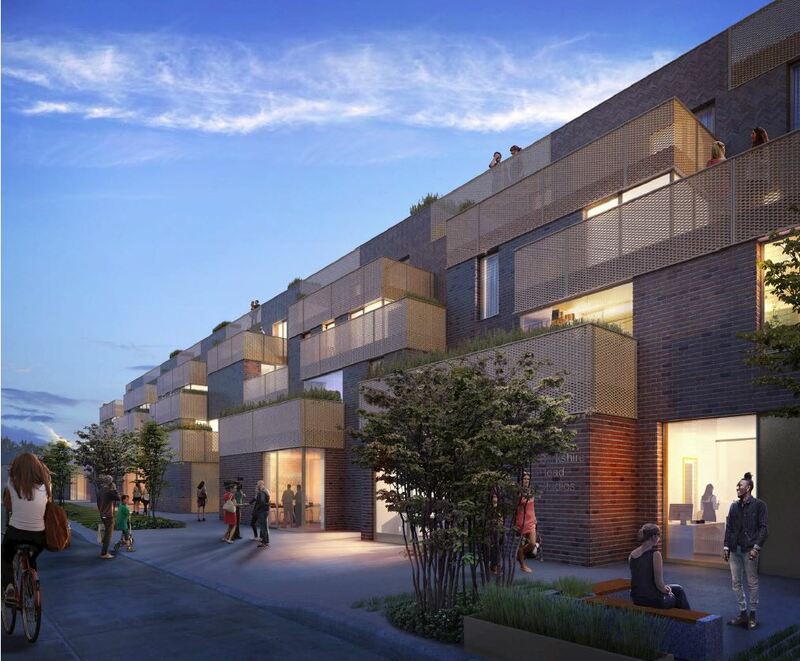 The mixed-use development includes 39 new homes and 1,571sqm of flexible ground floor workspace with a mews style street creating a new key route in Hackney Wick. The proposal creates a robust, multi-functional public realm activated by resident’s entrances and shopfront style open plan workspace. Tenants and residents are encouraged to occupy and personalises this space over time. 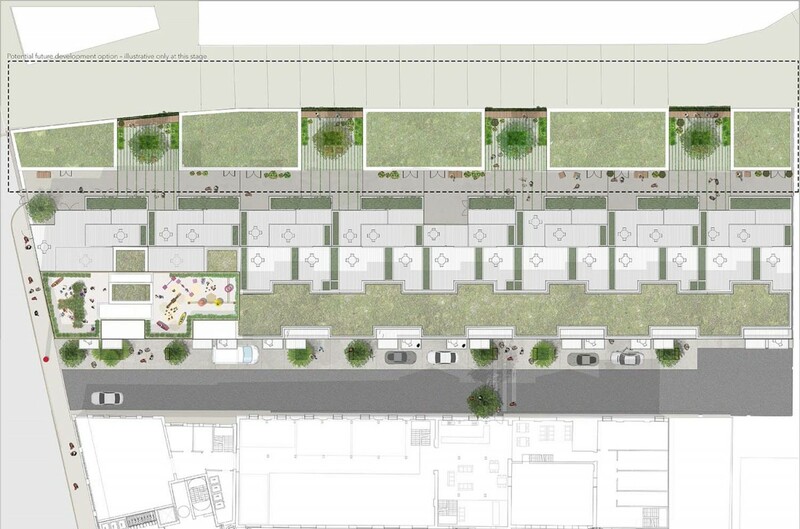 A second phase of the development will see 450sqm of mews workspace pavilions with associated gardens add further activity to the North of the site. 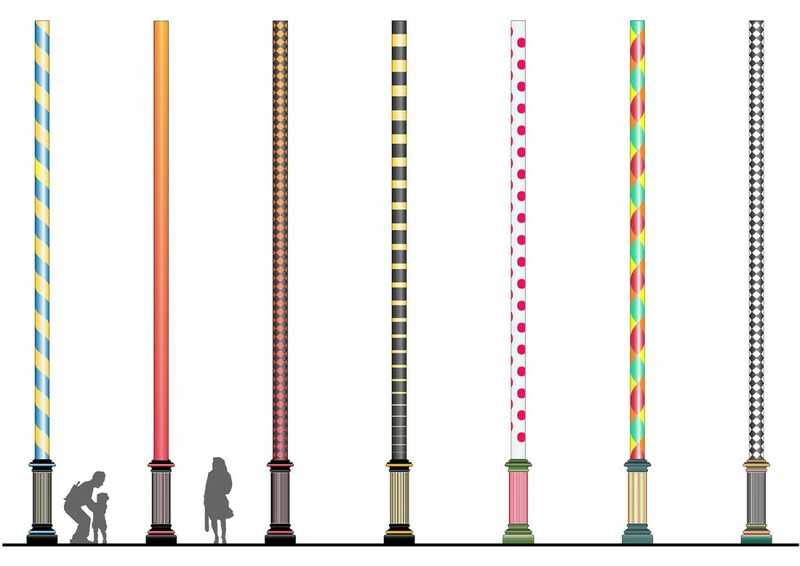 A historical Victorian sewer vent pipe or ‘Stink Pipe’ – which needs to be relocated adjacent to the site – will be repainted in conspicuous colours to form a graphic totem for the project.